We spent a whole day relaxing, let me write that again- relaxing (!) with the kids at our friend’s house. The kids played and played, used up all of Magali’s hair product as bubble bath and Marlo dug in the dirt. It was the most relaxing day we’ve had since pre-k (pre-kids). 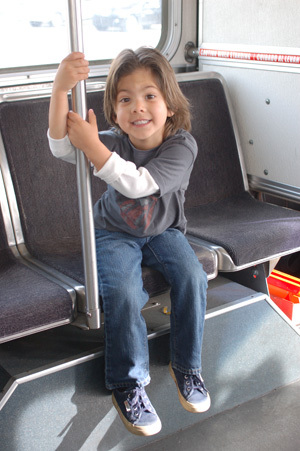 Even though we are walking distance to Chloe’s house Logan likes to ride the bus.